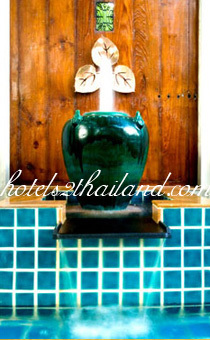 Innovations, efficiency and Thai pride are our promise for what we offer in each of your visits. Mulberrys Thai health and beauty therapies, where the real East meets West is sourced from ancient practices blended with modern techniques, are introduced to rejuvenate your senses from inside out and outside in. Remarks Check in : Please check in at the spa reception at least 15 minutes prior to you scheduled appointment. Late arrivals may result in reduced treatment time. Valuables :The management acceps no responsibility for loss of money or valuable of any kind brought into the spa premises. Special Consideration :Guests who have high blood pressure, heart conditions, allergies, are pregnant or have any other medical complications are advised to consult their doctors before signing up for any spa services. Please make your spa therapist aware of any medical conditions. Mulberry Spa Sukhumvit Bangkok is open from 10:00 to 24:00 hours - everyday.